When you come to Tsukiji fish market, you want to see other touristic places, don’t you? 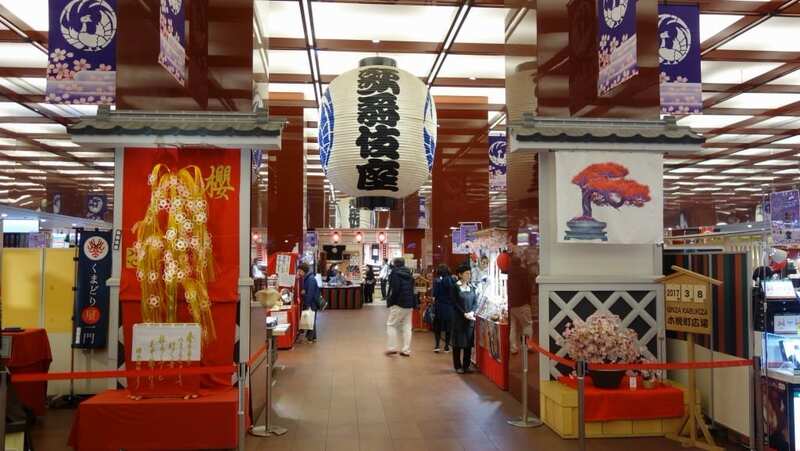 This article will show you “kabuki-za”, a famous touristic place in Chuo-ku where you can see Japanese traditional entertainment “Kabuki”, and also there are a booth where you can experience Kabuki and souvenir shop. Because you can even enjoy without the ticket, come and drop by. Kabuki-za is located in Higashi-ginza in Tokyo. It opened in 1889 and has been rebuilt 4 times for various war damages and disaster. 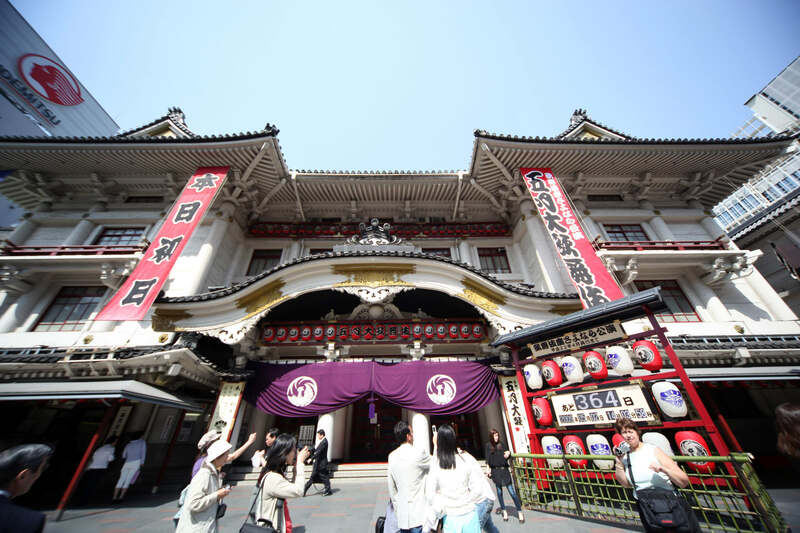 Since the opening, it has been one of the most famous Kabuki theaters in Japan. Now it takes kind of unique style of being inside a building named Kabuki-za tower. The outward appearance is an authentic Japanese style and the design is Momoyama style. 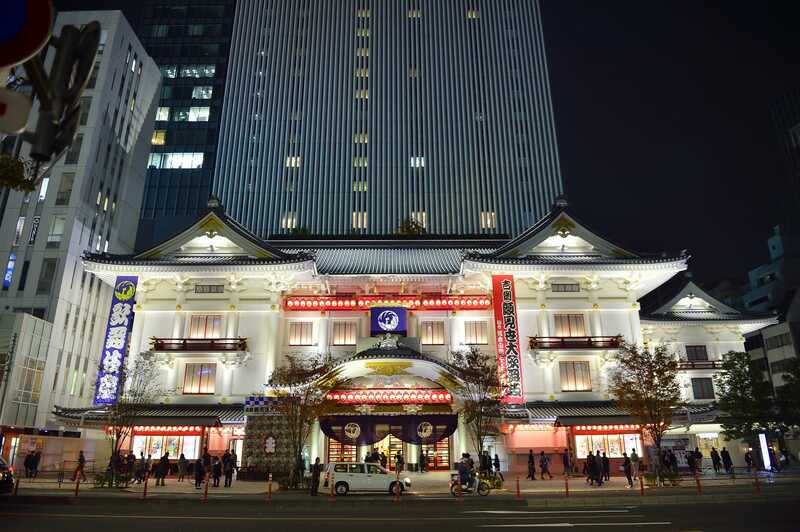 Kabuki-za is a four-storied building and the seats are separated according to stories. There a 5 types of seats: first class seats, second class seats, third class seats, box seats with a table and a sunken kotatsu, and nonreserved seats “Hitomaku-miseki” with which you can see any play anytime you want. Because the price, timing, and the length of time change depending on which ticket you have, please check it beforehand at the reception. Also with reservation, you can get a special packed lunch box during the intermission of play. Because the program changes every month in Kabuki-za, if you want to go to the theater, buy the ticket beforehand. Online reservation is also available. If you don’t have time to do so, just go to the theater and ask if there are still tickets available. Sometimes there remain some tickets. You Can Enjoy Even without Ticket! 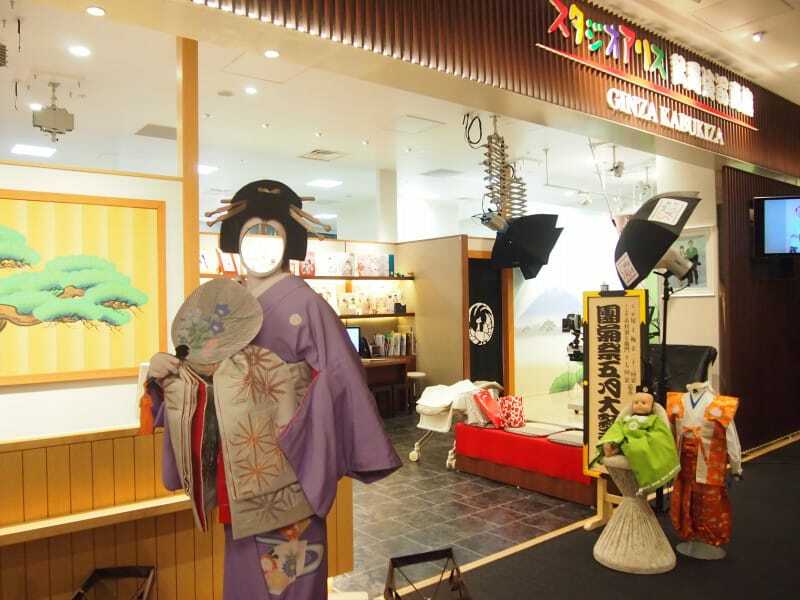 There are many interesting places other than the theater in Kabuki-za: “Kabuki gallery”, “Kabuki photo studio” where you can experience Japanese kimono and makeup, “Kobiki-cho hiroba” which sells kabuki-related products. 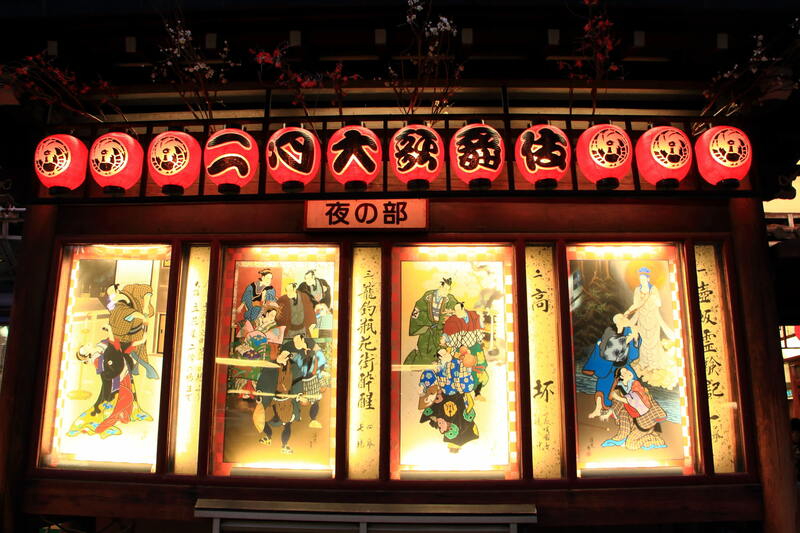 Even if you don’t go to the theater, you will know better about Japanese traditional culture by experiencing kabuki at those places.